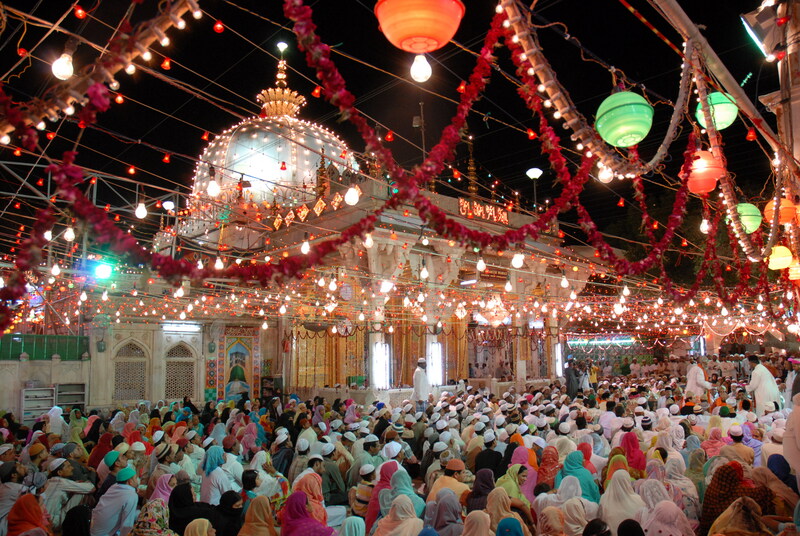 Ajmer Sharif Dargah: one of the oldest mosques in South Asia, the Ajmer Sharif Dargah is dedicated to Khwaja Moinuddin Hasan Chishti and is a very important pilgrimage for Islamic devotees. Its significance is further enhanced by the fact that Gharib Nawaz was considered to be the founder of Islam in South Asia. The Sufi saint is considered to be a prominent spiritual healer. His shrine attracts numerous pilgrims every year. They visit the shrine for offering prayers and receiving the blessings of the Sufi saint. As a matter of fact, the great Akbar himself visited the Dargah, walking barefoot in scorching heat over the hot sand, in Mannat of a son. Adhai Din Ka Jhonpra: this is the oldest existing monument of Ajmer. It’s a beautiful example of the 12th-century architecture and was built by the order of the invader Muhammad Ghori. It is said that after defeating Prithviraj Chauhan, Ghori was passing through Ajmer one time and saw a lot of temples. He decided to build a mosque to offer his prayers. Thus he ordered Qutb-ud-Din-Aibak to build the mosque who commissioned the construction. Also known as Jama Al Tamish, it has a special religious significance attached to it. The specialty about this pilgrimage is that it attracts not only Islamic devotees but people of various religions. Nasiyan Jain Temple: an exclusive example of the Jain style architecture, Nasiyan Jain temple is one of the best temples dedicated to Jainism. The outstanding architecture provides the visiting tourists and devotees with an elegant-feel. The deity here is none other than Lord Adinath who is the first Tirthankara of Jainism. It was built in the nineteenth century and is also known as Soniji Ki Nasiyan or Lal Mandir. Apart from the shrine, there is also a museum which showcases the Panch Kalyanak or the five stages of the life of Lord Adinath. The gorgeous interior is adorned with valuable metals like gold and silver and precious gems. The architecture is a reference to the refined and marvelous taste of the Jain Digambars. These are not all! Ajmer is home to numerous monuments, forts, and palaces. It has stored the history of Rajasthan through these manmade gems. The city of Ajmer takes pride in its historically rich culture and architecture. It not only entertains the tourists but also fills them with a spiritual enlightenment. It makes one realize how profound and rich the history of India is. Next article 6 BEST WINTER FESTIVALS IN INDIA- AN ADD ON TO YOUR ZEAL TO TRAVEL FOR.